Podcast: Tim O’Connor, Bain & Co. — What’s Next for Private Equity Should Mission-Critical Systems be Taken Off-Line? Great hires lead to great work outcomes, but all too often, organizations lack the discipline and processes required to find, attract, interview, and hire the best available talent. Talent management is such an essential component of business strategy today that smart hiring practices are needed for success. If you simply reuse job descriptions time and again, you’re doing the business and your employees a disservice. Understanding how roles and tasks have evolved and what future needs will arise for the position allows you to revise job descriptions to attract the right candidates for your position. Candidates will be asked usually to submit resumes and cover letters. The former tells you whether the candidate has the skills and experiences necessary to do the job you’re looking to fill. The latter gives you a better sense of the personality, approach, thinking, and communication a candidate will bring to the position. Some hiring managers skip reviewing one or the other, but together, they give you a far better picture of the candidate. The interview is where it’s important to understand how a candidate responds situationally to various tasks. Instead of yes/no questions, interviewers should focus on the behaviors that candidates have exhibited by sharing how they’ve performed in the past. It’s also a good idea to have multiple people ask the same behavioral questions to ensure that answers are consistent. Asking interview questions about experiences and behaviors results in more accurate understanding of how employees will perform. How did s/he interact with management and co-workers? What was it like having him/her on your team? Did s/he work well independently and as a team member? How did s/he support co-workers and subordinates? What were his/her strengths and weaknesses? How effectively did s/he supervise other employees? How do you think they would describe his/her management style? How did s/he handle conflict? Pressure? Stress? What was indicated as needing improvement during a performance review? What was his/her biggest accomplishment while working there? I’d like to describe the position we’re hiring for. Can you share how it would be a good fit for him/her? The hire doesn’t end when there’s a signature on the bottom line. 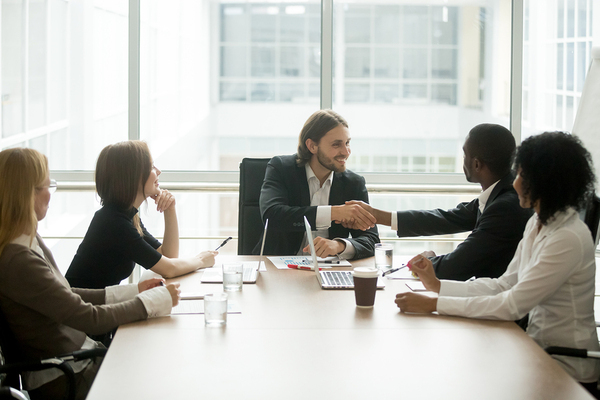 Planning an employee’s onboarding is critical for success while relieving the stress on a new employee looking to understand the history and culture of the new workplace. A formal onboarding schedule should be developed that considers what the employee needs in the first few weeks and months, including initial meetings with colleagues, subscriptions to industry or technology news publications, and registrations with professional organizations. Scheduling regular check-ins during this time with the supervisor is also prudent. Following the key phases of hiring results in better hires who are more connected and engaged in the business.